This paper studies the mixed H2/H∞ control for continuous-time linear dynamic systems. By applying Stackelberg game approach, the control input is treated as the leader and the disturbance is treated as the follower, respectively. Under standard assumptions and maximum principle, a necessary and sufficient existence condition which is based on three decoupled Riccati equations is obtained. 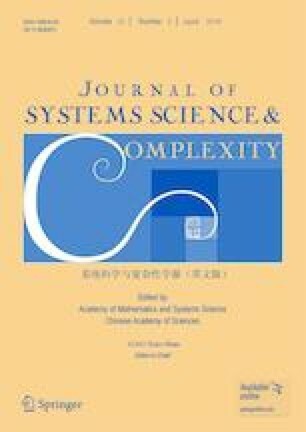 Explicit expression of controllers and solutions to forward backward differential equations (FBDES) are obtained by homogeneous analysis of variables. A numerical example is finally given to verify the efficiency of the proposed approach. This paper was supported by the National Natural Science Foundation of China under Grant Nos. 61633014, 61573220, 61573221, 61403235, and the Fundamental Research Funds of Shandong University under Grant No. 2017JC009.